The Big Question: Does lobbying threaten to drag politics further into disrepute? David Cameron this week warned that political lobbying was about to produce the next big scandal unless there was more transparency, arguing that it was "an issue that crosses party lines and has tainted our politics for too long, an issue that exposes the far-too-cosy relationship between politics, government, business and money". Mr Cameron's words were hardly out of his mouth before a former Tory ally, Andrew MacKay, who is quitting Parliament after being ordered to pay back £31,193 in over-claimed expenses, announced he was jumping aboard the PR gravy train by joining the leading lobbying firm Burson-Marsteller. MacKay was a hugely influential member of Cameron's inner circle. 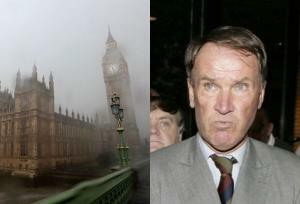 He and his wife, Julie Kirkbride, MP for Bromsgrove, claimed the cost of running two homes from parliamentary allowances. Last night there were unconfirmed reports that Kirkbride, who is also standing down, was also looking for a job in lobbying. "Lobbying is about influence, and influence is impossible without access," said the report of the cross-party Commons select committee on Public Administration, chaired by the Labour MP Tony Wright, which carried out a major investigation into parliamentary lobbying last year. A wide range of organisations lobby to get their point across to MPs, usually before they legislate, from "corporations, to trade associations, to charities, to grassroots campaigners". The current controversy surrounds private consultancies around Westminster. They are paid large sums by global corporations such as energy companies and arms manufacturers, to promote their interests inside government and around both Houses of Parliament. They may privately boast about access to certain ministers for their clients, but paying for access is banned. Paying for changes in the law is also illegal. Two Labour peers, Lord Truscott and Lord Taylor of Blackburn, last year became the first peers since 1640 to be suspended after a "cash for laws" scandal. How central is lobbying to parliamentary business? Very. Among matters the Government has been heavily lobbied on in recent months are the third runway at Heathrow Airport and the expansion of the nuclear power industry. Wright's committee said lobbying could be "a force for good" – lobbying helped to bring about a change in the law to ban smoking in public places. But it is also used to shield business from attacks by lawmakers. The drinks industry has been lobbying hard to resist a new tax on the units of alcohol which some MPs have been demanding to curb binge-drinking. There are more than 100 lobbying companies based in London. It's a multi-million pound industry whose size has grown quickly over the past decade. Among the leading players are Brunswick, headed by Alan Parker, a friend of both Gordon Brown and David Cameron; Portland, founded by the former aide to Tony Blair, Tim Allan, which recruited the former political editor of the Sun shortly after that paper's recent conversion to the Tories; Weber Shandwick, whose chief executive, Colin Byrne, was a protï¿½gï¿½ of Peter Mandelson; and Burson-Marsteller. The last of these boasts Matt Carter, Labour's general secretary during the cash for honours affair, as its chief executive, and now Mr MacKay too. Over to Mr Cameron: "We all know how it works. The lunches, the hospitality, the quiet word in your ear, the ex-ministers and ex-advisers for hire, helping big business find the right way to get its way... It arouses people's worst fears and suspicions about how our political system works, with money buying power, power fishing for money and a cosy club at the top making decisions in their own interest..."
The details of some 8,000 room bookings at Westminster from 2004 to 2009 were released by the Commons Banqueting Office after Freedom of Information requests in the wake of the expenses scandal last week. It was claimed that some lobbyists were treating the Commons as their "private dinning room". Does lobbying have a direct effect on policy? The Public Administration Committee also pointed out that as it goes on in private, in bars and restaurants, the watering holes in Westminster, or in ministerial offices, we can never be sure how much influence the lobbyists have. All the major corporations employ PR consultants to lobby on their behalf, underlining their belief that it works, and is therefore important to their businesses. They could do it in-house, but the lobbying firms hire ex-ministers as a constantly changing cast of advisers to increase the impression that they can gain access to government. Why is Mr Cameron so worried? There is a revolving door and it is spinning faster, with Labour ministers leaving the Government looking for private work. Mr Cameron believes that if he wins power, there will be a surge in attempts to get close to his Tory government. He is trying to stake out the ground before that happens, according to his close advisers. He is in favour of extending the time required before ex-ministers can join PR lobbyists. "You will be hearing more about this in the coming months," said one Cameron camp insider. But Tories are concerned by the fact that several dozen of their prospective MPs are former lobbyists, while Mr Cameron's seven years in corporate communications at Carlton Television may associate him, in the eye of the public, with the industry he is declaring war on. Isn't lobbying just part of political life? Yes – but we should at least know what is going on behind the scenes. That is the reason for the calls for more openness. The Public Administration Committee noted: "It is a reality of life that people are often most influenced by those closest to them, those whom they know not as lobbyists, but as friends and relatives. The nuclear industry certainly seems to have been banking on this in its choice of those advising it and lobbying on its behalf. It is also the case that the Government's policy on the future of nuclear power has undergone a remarkable about-face since 2003..."
Is this area in need of more rigorous scrutiny? Mr Cameron certainly thinks so. One of his main concerns is the "revolving door" for ex-ministers leaving Govenment (or Tory MPs leaving his side) and jumping on to the lobbying gravy train. The Public Administration Committee noted many former ministers, MPs and Downing Street advisers who got lucrative roles lobbying for the nuclear power industry after leaving Govenment jobs or the backbench. They included Geoffrey Norris, Jamie Reed, Jack Cunningham, Ian McCartney, Richard Caborn, Brian Wilson and Alan Donnelly. Patricia Hewitt, the former health secretary, was hired by the pharmacy giant Boots after leaving the Department of Health. There is nothing intrinsically wrong in the revolving door for ex-ministers joining the private sector, but after the expenses scandal Mr Cameron believes the time has come for tougher rules. Should lobbying be subject to tighter rules?